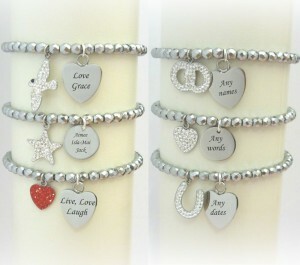 Beaded Stacking Bracelet Personalised with engraving on Heart or Disc Charm. A lovely quality bracelet made with silver faceted hematite beads on stretch elastic. 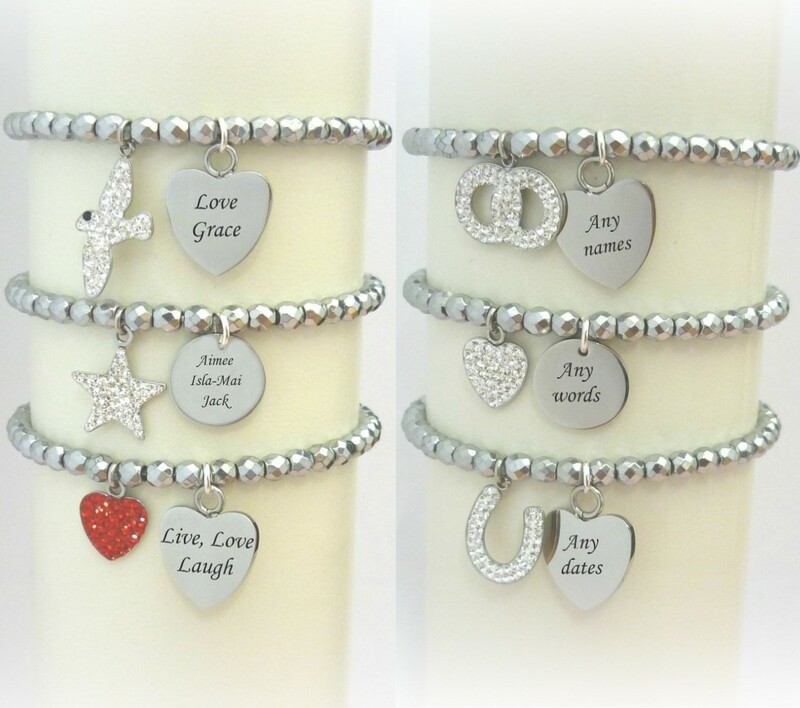 Choose a stainless steel heart or disc charm for the same price including free engraving.One crystal charm is also included in the price. « Personalised Leather Bracelet with Horse and Engravable Tag.